This is an older range by Cadenhead known colloquially as the White Label or Distillery Label range, and included some very big names – Port Ellen, Lagavulin, Caol Ila, Springbank, Talisker and even a Glendronach – at some eye watering strengths – 64.8% Port Ellen, 63.8% Lagavulin, 63.6% Caol Ila! Now that’s cask strength. Did you know whiskies labeled as cask strength need not actually be true cask strength? Photo Credit – whiskyonlineshop.co.uk , which is where I got this bottle anyway. Nose: Nose-curlingly powerful, with a narrow profile. Smoked grapefruit zest, various waxes – candle wax, hair wax, furniture wax, flaky dried leather and balmy. Lots of cutting lemon juice, and freshly pulled roots. Rather austere. Also needs a lot of air. With water: More dried grass and the peat comes out more. Flinty. Palate: Sharp and huge. Plant sap, more high octane leaf juice than whisky. With water (you must): Still quite uncompromising but sour grapefuit blended with bittergourd and more than several drops of medicine. Soot and pencil lead. Excellent. Finish: Medium, astringent though a little short, wispy smoke, highly citric. Very unmodern, and truly uncompromising. I like this style myself – less sweet or rich but more phenolic and ‘chemical’, for want of a better word. 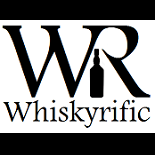 This entry was posted on September 30, 2015 by Whiskyrific in Ardmore and tagged Ardmore.